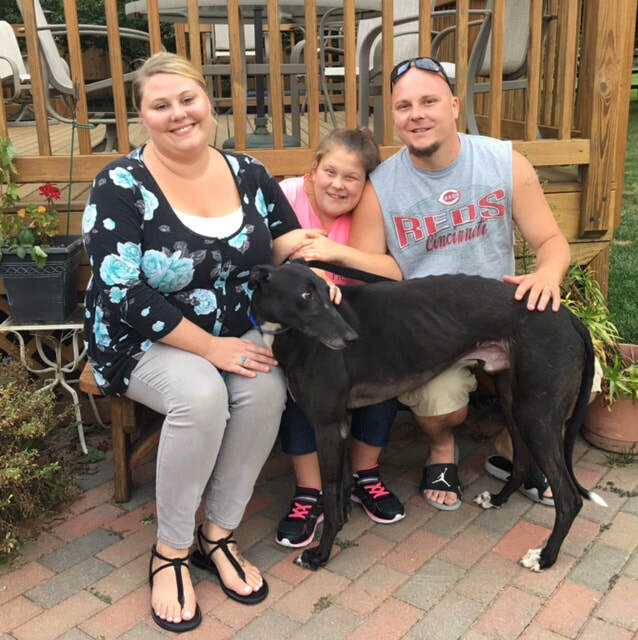 GS Batman was adopted today by Kaitlyn, Tim and their daughter Summer in Liberty Twp. Kaitlyn grew up with a greyhound in her home and her mom recently adopted Topper from GAGC. Kaitlyn was thrilled that she was finally able to adopt a greyhound in her own family. Batman, now Bruce Wayne, is a confident boy and will be fine as an only dog. He has a huge yard to call his own and explored it when he arrived. He's going to get lots of attention! We hope to see him at our events!